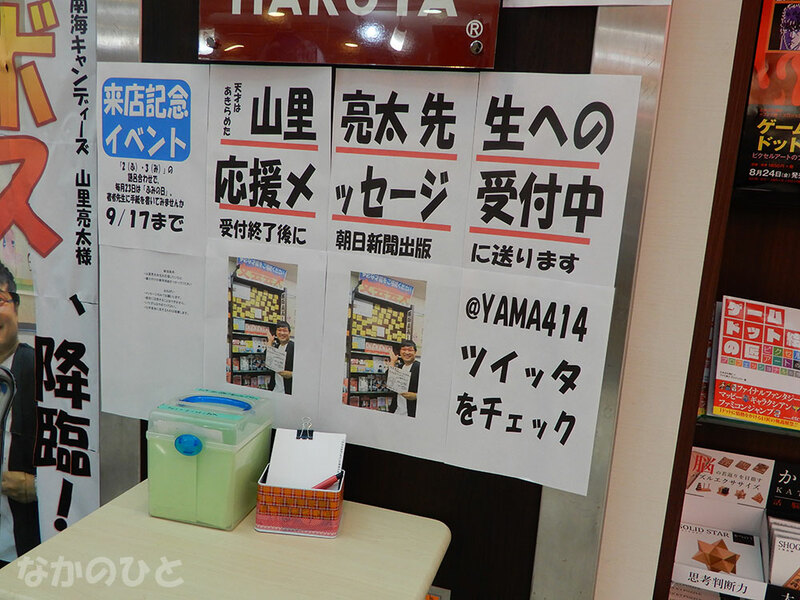 Haruya Shoten, 3rd floor of Nakano Broadway, was recruiting messages. It is a message to Mr. Yamazato Ryota ,Nankai Candies of comedian entertainers. It is a picture with yourself. It was a project I was doing for a manga artist before. As the 23rd of every month is "Fumi no hi",letter day, you are doing these kinds of projects. This page contains a single entry by shannon published on August 30, 2018 11:27 PM. Ramen shop Kagura is issuing Tsukemen for a limited time only was the previous entry in this blog. Shop inverse appears in Nakano Sun Mall is the next entry in this blog.